“England” and “sea-side” are not two words that are usually associated with each other. However, Brighton and Hove may have a few words to say about that. A popular sea-side resort, Brighton & Hove gained the “City” status as recently as the year 2000. With no countryside separating these two fantastic and quaint towns on the southern English coast, Brighton and Hove is quickly becoming the place where everyone goes for their dose of sunshine. 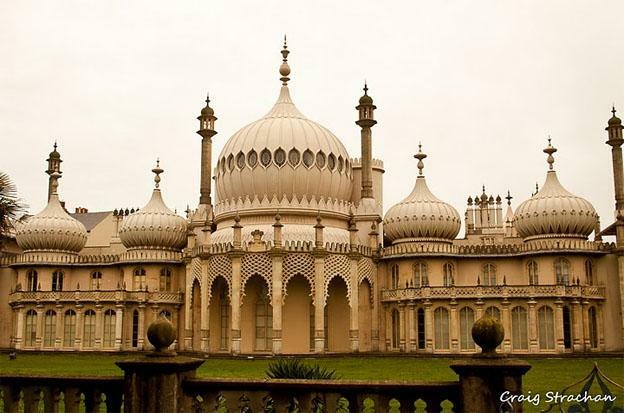 The city revolves around the Brighton and Hove City Centre, the heart of all the commercial and cultural activities in the city. 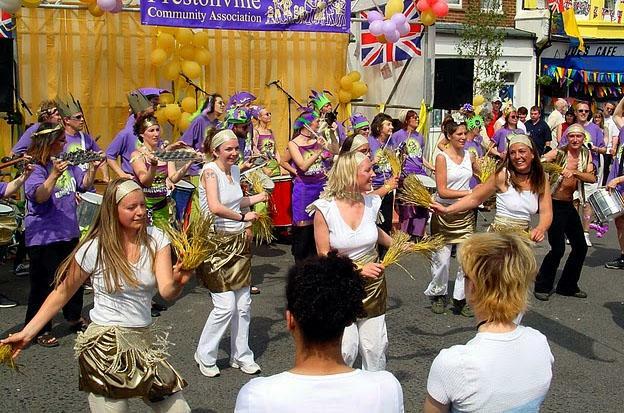 North Laine, a part of the City Centre, is also called the “Cultural Quarter”, for its theatres, galleries and studios. The Theatre Royal and Brighton Dome complex are just some of the hot-spots in this area. Pavilion Garden, home to the Royal Pavilion, is the former residence of King George IV. Right opposite Pavilion Garden is Jubilee Street, the fast-food and restaurant haven at Brighton & Hove. However, if its food you want, then there are plenty of fantastic shops that sell local English delicacies like Fish ’n’ Chips, Sheppard’s Pie and Muffins, hidden away from the glitz and glamour of the shiny part of town. Hunting down these shops means walking through this beautiful, typically English, town. There are hordes of independent shops & stores that not only carry modern designer wear, but also have items that are native to those parts of England. Narrow alleys and streets, also known as “The Lanes”, hold Brighton’s hidden secrets – jewelry and antiques. Brighton and Hove is not about the bright & shiny shopping malls and massive boutiques; it relates, more, to the smaller, but cosier, shops that make the process of buying & selling more personal. The city is well connected with a number of buses, most of them named after famous people who have been associated with the city in some form or other. In July & August, Brighton & Hove is a pleasure to visit. The highs are around 300C while the lows come to about 120C. However, there is plenty of sunshine and beach-action for those who’re interested. There is rain all year round with July being the least wet of all months, receiving only about 45 inches of rain. Winters are cold, wet and windy, with little sunshine. The temperature drops to near freezing, while the maximum barely goes into double-figures. There’s nothing “sea-side resort” about Brighton & Hove at this time of the year. The Holiday Inn Seafront Hotel is, as the name suggests, right on the seafront. With a fantastic view of the beautiful ocean, the Holiday Inn Seafront also offers short commutes to the Museum of Natural History, the Brighton Aquarium as well as the Theatre Royal. There are fantastic dining and shopping experiences, to be enjoyed, within a short bus or car ride while the local train station is just a mile away. If you’re looking around Brighton & Hove as well, then Ditchling, a fantastic ancient town, is just 20 minutes from the Holiday Inn Seafront. With 134 rooms and non-smoking premises, the Holiday Inn Seafront offers some interesting amenities for people of all ages. There is the in-house restaurant that offers traditional as well as modern cuisine, a fantastic lounge, a beautiful bar as well as a beautiful terrace garden that overlooks the sea. Along with conference and meeting facilities, the Holiday Inn Seafront Hotel also offers numerous private gardens for those interested in a few quiet moments. Right next to the Old Steine and the War Memorial, the Royal Albion Hotel is all about access to the city of Brighton and Hove. 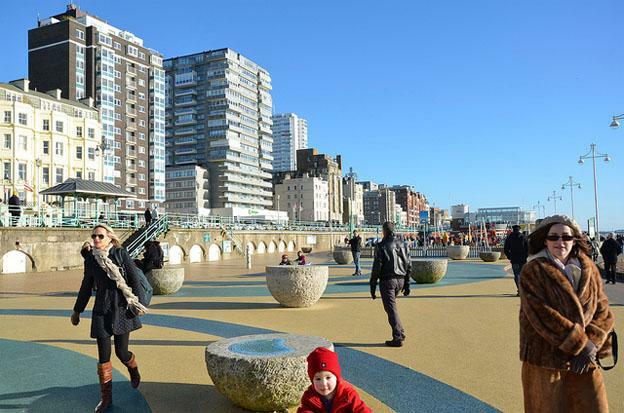 With the beach and Brighton Pier within arm’s length, guests can enjoy the fantastic food and shopping options the area throws up. Then there’s The Lane and the Royal Pavilion, all accessible easily thanks to the hotel’s prime location. The Royal Albion is a modern hotel with many rooms equipped with Jacuzzis and balconies with a fantastic view of the sea. 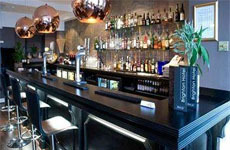 The restaurant, at the Royal Albion Hotel, offers fantastic food as well as a well-loaded bar. 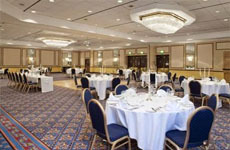 There are conference & meeting facilities that can accommodate over 150 people while a host of private spaces makes the hotel ideal for visitors of all ages. 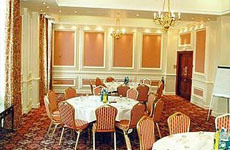 The Best Western Hotel, in Brighton and Hove, is located just 100 metres from the West Pier. A few minutes’ walk from the Brighton and Hove City Centre, the hotel is ideally placed for business and leisure travellers. Whatever be your food-taste, you will find something substantial at the plethora of dining joints around the hotel. With The Lanes right next door, as well as Victoria Square and the Pavilion Gardens, the Best Western Hotel is centrally located to access all of Brighton and Hove. The staff, at the Best Western Hotel, is multilingual, adding to the fantastic business & meeting facilities on offer. There’s a restaurant that opens only for breakfast and dinner while the lounge is a fantastic place to just sit for a drink and chill.